If your Samsung Galaxy Tab 10.1 has button issues, allow our expert technicians to repair your tablet. Common symptoms of failed or faulty buttons are your volume down or volume up no longer respond when pressed. 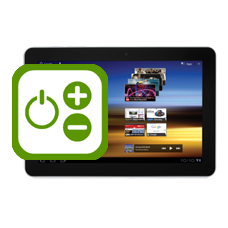 Our Samsung Galaxy Tab 10.1 volume button repair will also fix any power switch issues you may have. This is an in-house Samsung Galaxy Tab 10.1 volume button and lock switch repair service, when ordering this service you are required to ship the Samsung Galaxy Tab 10.1 into our repair centre for works to be undertaken.